This formula will be available to the general public for two weeks and then access will be restricted to members of The Baking Network. 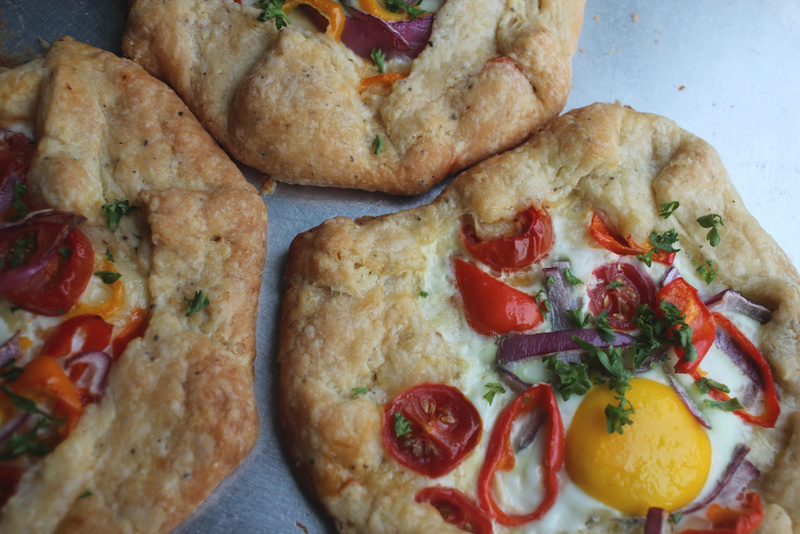 When I first made these delicious hand held breakfast tarts I had the neighbors across the road asking what the amazingly smell was! Don’t skip the cheese underneath all the goodies but you can use whatever combination of vegetables you like. The onion ring obviously helps keep the egg reigned in a little bit! 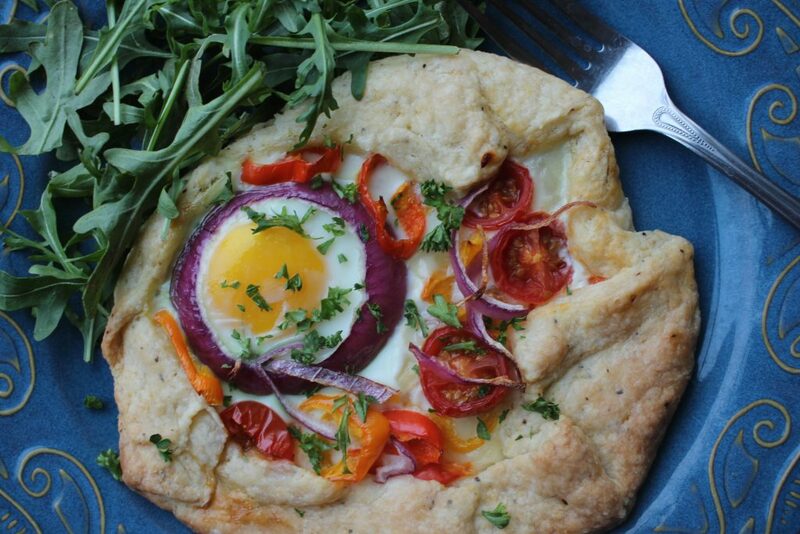 This is a really lovely brunch dish. I’ve found they re-heat quite well. Just wrap in plastic wrap and store in the fridge. Warm in the oven for 10-15 min at 350. 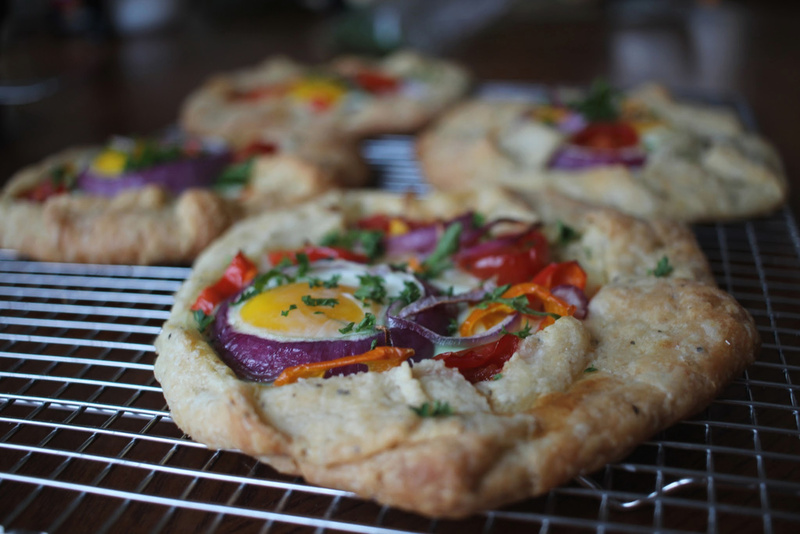 I serve them with a small bunch of arugula and coffee. 50 grams ( 3 Tablespoons plus 1 teaspoon) of full fat sour cream. 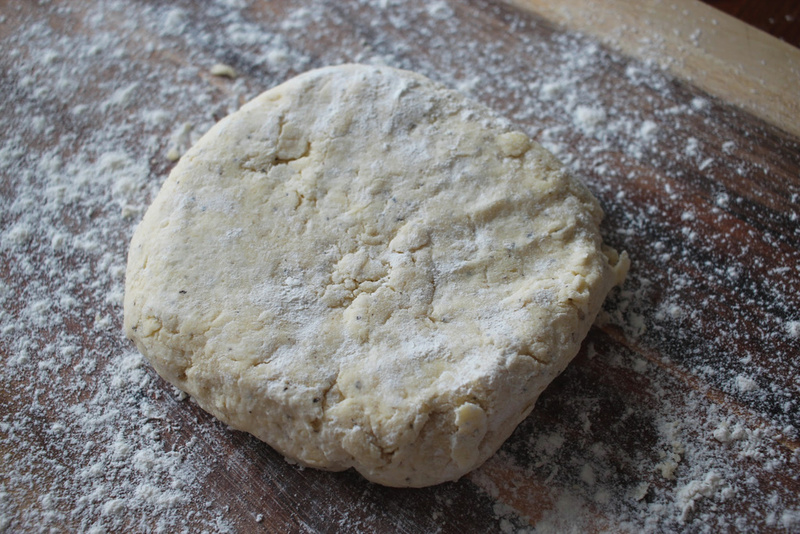 For pastry, stir together flour, sugar, salt, baking soda and black pepper. Chop the cold butter into small chunks and work it into the flour mixer with fingers or a Kitchenaid until the mixture is crumbly and mostly combined. Add sourdough starter and sour cream. Stir just until combined with a fork or spoon and then fold the mixture gently with your hands until just combined. 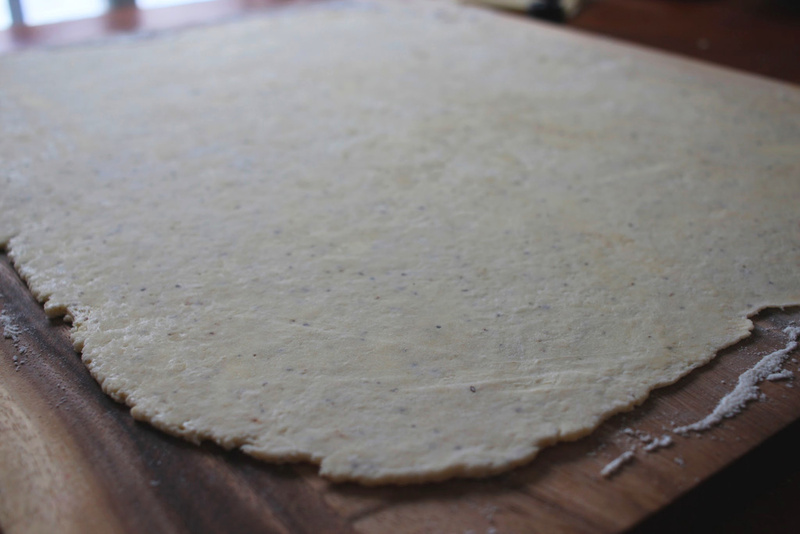 Roll pastry dough on floured board into a square approximately 20 inches by 20 inches. 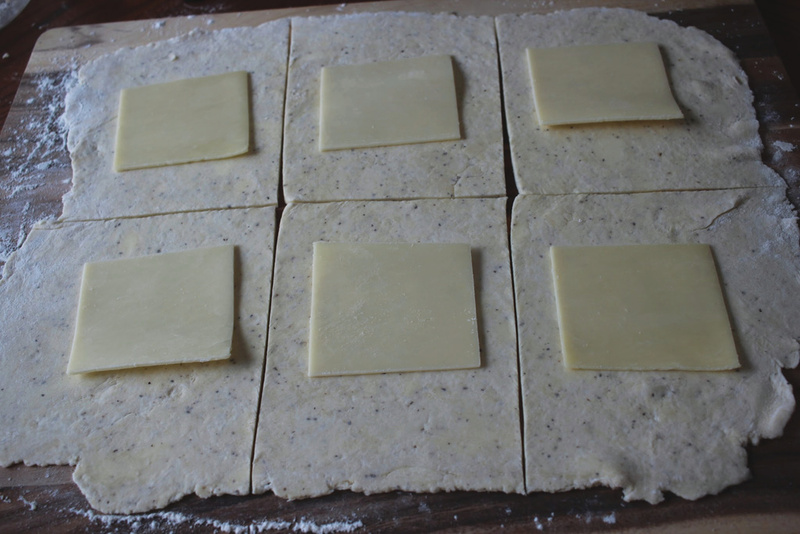 Cut into six equal sections approximately 6 inches by 6 inches. 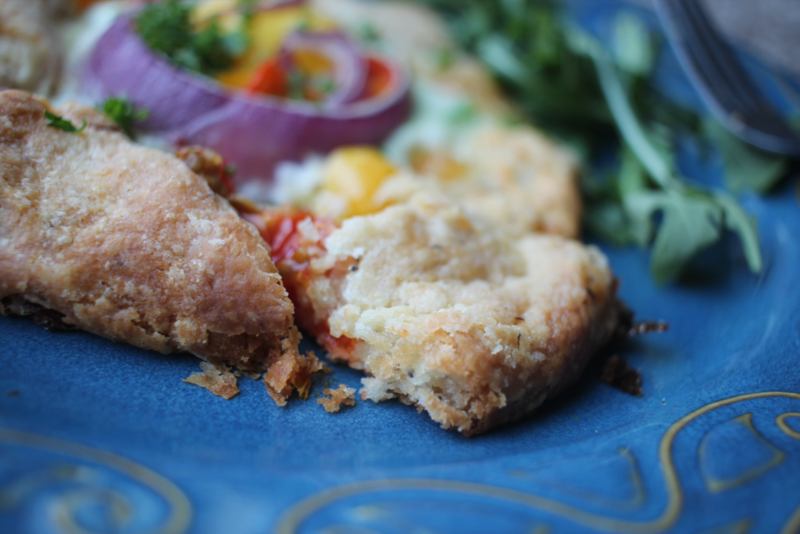 Lay cheese in the middle of each pastry square, top with onion ring, peppers, tomatoes and extra chopped onion. 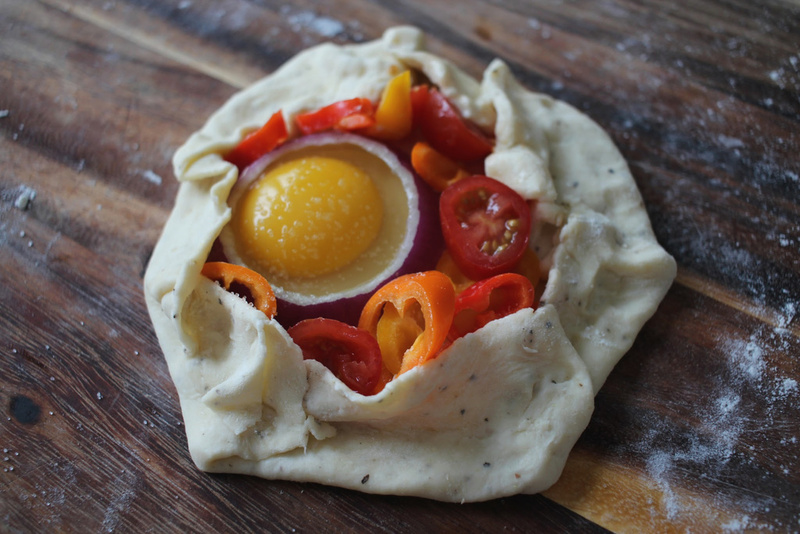 Crack an egg in the center of each onion ring and gently fold up the edges of the pastry to tightly encase the egg and vegetables. Sprinkle with salt and dot with butter. With a spatula, move gently to a baking sheet. Leave at least 1.5 “ between galettes. Bake at 400 degrees for approximately 35-40 minutes or until golden browned. Serve warm.